Two years ago during the scorching summer of 2012, July 1936 lost its place on the leaderboard and July 2012 became the hottest month on record in the United States. Now, as if by magic, and according to NOAA’s own data, July 1936 is now the hottest month on record again. The past, present, and future all seems to be “adjustable” in NOAA’s world. Read the rest at: Watts Up With That? This story ties in with “The scandal of fiddled global warming data” that Jeff Davis posted. It really ticks me off that you have an organisation like this, that is the official record keeper, and caretaker, of the official temperature record for the U.S., and they do crap like this! This is the data that globalwarmingclimatechangedisruption people use to bolster their argument. This is the data they use to beat us about the head and shoulders with, and to make determinations like CO2 is a pollutant. And it’s all BS. But, I think there is a silver lining here, and I think we may find out sooner or later, because someone at NOAA has reset the data to reflect reality. Perhaps someone there has vomited after drinking the koolaid? One can only hope. Not really. It’s the long term trend that bolsters their argument. Past records, anomalies and cherry picking is left to the contrarians. That July 1936 was a record is very important for weather data, but only if it becomes a trend it’s important for global warming. The trend is going up, so it’s just a matter of time before that record gets broken. Science progresses with time, we should be thankful for that. Perhaps we should wait for Noaa to respond to this before waying judgement on this. But when using bogus data points to plot a trend, what do you have? A bogus graph. Wait for them to respond? No, I think you misunderstand. This is the response to what they’ve done. This is not someone making an accusation towards them and waiting to see what they say. This is NOAA just changing the data. Without warning, or a press release, or even a “woops, sorry”. And you think they are formulating a response? Your cranium may be slightly thicker than I thought. Are you interested in some oceanfront property? More like: “Let’s change it back and they won’t notice”! Well, yes. That’s what they did. But people did notice. NOAA still has no comment, explanation, or apology for this, as far as I know. It just ‘BLOOP’ changed overnight. The fact that it changed back to the original data is the only silver lining here. My speculation is that someone, or a few someones, there at NOAA have decided to do the right thing, to be honest. And the reason NOAA has not said anything is because this was not a sanctioned move and they are quietly trying to figure out how to change it back without arousing suspicion. I say good luck with that. If you really had that intent, why change it back at all? Wait, science progresses with time? I thought science was settled? Is that a simple question, or a difficult one? NOAA have explained why they changed the numbers. They’ve been working on this new data set for years through peer reviewed studies. And to make things worse for the climate skeptics, they changed things in march of this year already and it’s only until now they found out about it. Derek Arndt, chief of NOAA’s Climate Monitoring Branch said little has changed. And when you consider the uncertainty it’s better to say that 1936 and 2012 are tied. The difference is that small. Like I’ve previously said, science always changes. It never stands still, nor should it. Do climate skeptics want science to stand still, I doubt it. Some hand written data had typos in them. But mainly NOAA has standardized all records to the morning for all of it’s stations so everything needed to be recalculated. Mostly older records have gotten cooler from this with some exceptions like the 1936 record. So in fact this spells out more bad news for climate skeptics. The new data set also affected precipitation and humidity records, but no one seems to be complaining about that online. So you might want to think it over next time before passing on such swift judgement seeing scientists improving things like NOAA did this year. None of this matters because we don’t know what the temperatures are really doing. All of these corrections and adjustments for various things only serve to obscure reality. If the temperature data set were a company’s financial books, and the NCDC was their accountant, the IRS would be auditing them in a heartbeat. Unless, of course, the company was owned by a democrat. You’re wrong there as well. NOAA’s dataset is publicly available. They even made a tool to compare the old numbers with the new one. Odd that Warmists always use “anomalies”, isn’t it? And still you can’t explain what they did wrong (yawn). Not in the least. What matters is how much temperature is changing relative to normal, and how fast — not what is normal. And that is the million dollar question isn’t it? What is normal? Anomalies are used all the time to “prove” that temperatures are not normal by people who are devotees to globalwarmingclimatechangedisruptiondying. So what is the norm? 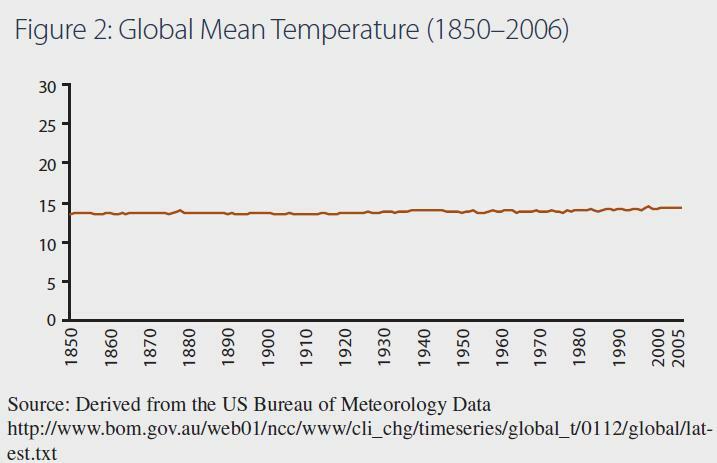 I think that needs to be established before anyone can say what is not “normal” I know that in climate circles the “norm” or the base is the temperatures between 1950-1980, but what I’d like to know is why is that considered normal? Was the Earth at those same temperatures for every 30 year period prior to 1950? Repeating over, and over, and then suddenly it breaks the pattern? Of course not. So again I ask, what is normal? What is it supposed to be? In my opinion it is an unanswerable question and the use of the term anomaly is BS because it is a chaotic system that we don’t even know what all the variables are. I mean my age is different then it was 30 years ago, is that an anomaly? I was 18, 30 years ago, shouldn’t I be 18 now? Oh crap! I’m 48 it’s an anomaly! No, that's not the question. The big question is, how is temperature changing? Because that's what the world has to adapt to. Normal is what the world has adapted to up to this point. Global warming changes the average temperature, and that affects a lot of things. The million dollar question is how much change will we get, and how fast. It's really unfortunate — the people complaining the loudest are the ones who understand the least. What do you mean by "right?" No data in science is ever exact — all of it comes with uncertainties, the possibility of bias, and more. THAT'S THE NATURE OF SCIENCE, AND OF THE WORLD. This is why experiments and analyses are conducted over and over — to see how one compares to the other. When they start agreeing with one another, then there seems to be some "right" behind them. You clearly don't want to accept the results (why is that? ), and will find any excuse to dismiss them, however absurd. Without those adjustments — which are necessary for almost all scientific data — the temperature wouldn't represent "reality," but a skewed version of it. Adjustments — whether for the surface or satellites — are crucial to correcting known biases. What are the “known” biases, do you know? For all I know they’re making adjustments for cow farts, and gingerbread cookies along with urban heat island and instrument calibrations. My problem is that I don’t know if I can trust the people who calculate the biases to not let their own personal beliefs become its own bias in their calculations. Remember climategate? These all introduce biases into the recorded data, and if you don’t adjust for them you aren’t getting true picture of the temperature changes. And who, or what, decides what the bias is and what adjustment to make? What are they basing the adjustment upon? Oh, and you left out the zombie stations. How do they calculate the bias of stations that are offline, closed, missing data, what have you? My problem is that all of those things are open to the interpretation of the person doing the adjustment. And if that person is a devotee of globalwarmingclimatechangedisruptiondying then there is a strong possibility that there are going to weight the calculated bias upward. And don’t tell me that’s not possible because we all know it is not only possible, but is most likely. What biases? The only biases I saw in some of the Climategate emails was a bias in favor of good science. There have been many, many peer reviewed papers on temperature adjustments over the decdes, by many different people. Richard Muller started the BEST project at Berkeley (funded in part with Koch Brothers money) specifically to do a reanalysis of the temperture adjustments. He found the same anomalies and trends as the existing datasets. Why didn't Muller and BEST convince you? Biases in favor of good science? Really? Hmm. So, you only looked at some of the climategate emails? That’s interesting. Because I looked at a lot of them, and it seems to me that they reflect a desire on the part of the people involved to find things that show warming, and to diminish and dismiss data that does not. Is that a bias towards good science? I think not. If you think that scientists are above reproach, and that they have a superhuman level of trustworthiness, and should be trusted without question, you are foolish. They are people and they are subject to the same weaknesses and character flaws as the rest of us are. But I’ll let our readers judge for themselves. Oh, and the BEST project didn’t convince me because they used the very same data that has been manipulated by the climategate scientists, and the same “adjusted” temperature data. It was a complete farce! You mean the paper that can't pass peer review? That's your evidence?? It's been over 2 years now, and it hasn't appeared anywhere. I doubt it ever will. No, they did not. They used the raw temperature readings, and did their own homogenization on it. That you don't know this tells me you know very little about what's going on. Didn't you read the Zeke Hausfather post I linked to? It discusses all this…. The people doing the analysis decide what the biases are. Just like all other science everywhere. Many different people have done it and published on their results, which all agree with one another to high degree. You can do you own analysis. Let us know what you get. You strike me as someone who doesn't know, and won't accept, the data, ever, even while you don't understand the science that's being done. So what then is your motivation? Of course they are. But science is self-correcting — this is why it's been such a powerful force for 400 years. The fact that many scientists have gone through this data is the self-correcting process. Peer review is part of the self-correcting process. Seminars. Conference talks. Papers. This is where the science gets hashed out and self-corrected. Have you ever actually done any science, or even known a scientist? If you're going to criticize the data, at least have some small notion of what's being done. To me, it seems you have no idea at all. So, David Appell, I’m curious. Why have you never been here before but yet you’ve commented 16 times in the last several days? I wonder why all of this sudden interest in GCS? I mean you have your own blog, right? I have no problem with you commenting here but if you are here to generate interest in your blog, and trying to drive people away from this one, I will delete all of your posts and ban you from commenting. As far as my comments I am purposefully provocative. I understand the need to make adjustments, But I also think there are some people, not all of them, but some who if given an opportunity to do so would skew data in favor of their political beliefs. If you think all scientists are better than everyone else, and hold themselves to a higher moral code than the rest of us, and are above that sort of thing then you are naive. I have tried reasonable arguing before but I have realized I am not trying to reach people who are reasonable. So get off my nu*sack. 1) I never heard of this blog before. 2) I'm here correcting some serious misunderstandings (most of them your's). What is your evidence for this claim? Are you opposed to data skewing from the contrarian side? "…science is self-correcting — this is why it's been such a powerful force for 400 years. "The fact that many scientists have gone through this data is the self-correcting process. Peer review is part of the self-correcting process. Seminars. Conference talks. Papers. "This is where the science gets hashed out and self-corrected. "Have you ever actually done any science, or even known a scientist?" Of course I read them; after all, my name appeared in four of them. Which emails in particular do you find troubling? “On a second reading of the stolen UAE emails leaked today, and just reading the README file emails, these sound worse than I thought at first – their impact will be devastating. You really should not have mentioned that you were mentioned in the climategate emails, because now I know who and what you are. And I’ll be honest I can’t compete on the level you do. I have a job that does not involve sitting in front of my computer all day and I just don’t have time to answer all of your, what is it, 18, 19 comments now. The more I read about you the more I think this is a professional attack on this blog, by a professional blogger, a warmist blogger. And I am not a professional blogger. I have at most about a half an hour on workdays, and several hours on my weekends to post, and that’s about it. I would like to respond to all of them but I don’t think I’m going to be able to do that if you keep asking me why I don’t answer this or that comment. The answer is I don’t have time to do that. So if you would like an answer to most things you are going to have to wait, and I am not going to devote a whole lot of time to you but to be fair, I will try. If you keep pressing I will do what they did at WUWT. Got it? You know, I’m not going to argue with you about the climategate emails. Sure, there are a few that I think are pretty damning but the vast majority of them are pretty innocuous if you are not familiar with the scientists. I admit that I have relied on others interpretations of those emails. So forget that, I’m sure you have your own interpretations of them, and with your degrees in physics you could run circles around me there. So I concede. I wanted to take each of your comments in turn and answer them. Unfortunately I will not have time to do that today. So what I’m going to do is explain why I am skeptical of anthropogenic global warming, or as I like to call globalwarmingclimatechangediruptiondying, instead of trying to argue point by point with you, as you obviously are a writer by profession you can do this all day, and I can not. My skepticism began back in the mid 90’s, and it began as a political transformation. I do not have a scientific background, although I have always loved science my main barrier to pursuing a career in science is the fact that I am horrible at math. It doesn’t mean that I can’t grasp scientific principles, in fact I had a college level vocabulary when I was in the 7th grade, and my reading comprehension has always been quite high so I understand, sometimes quite a bit, more than the average person does when I read something. But back to my genesis. I was a firm believer in AGW at first. I thought we were destroying the planet. I was a Liberal because my parents were, and I didn’t know better. But, one day, actually it slowly built over time and there were other things that caused my shift in philosophy but sticking with globalwarmingclimatechangedisruptiondying, I heard Al Gore say “The world has a fever, and we are the cause. The debate is over, and the science is settled.” Or something like that, anyway, I thought “Huh?” “It is?”….”Is it?” So I started doing a little research and after a very short period I had put the lie to at least half of his statement. Because I found out in short order that the science was very definitely not settled, and the debate was just getting started. I had an epiphany that day; Al Gore is a liar! So that is the basis for my skepticism. I shortly found the Friends of Science website and watched all of their videos, and read all of their articles. I have been firmly on the skeptical side ever since then. It is crystal clear to me that that globalwarmingclimatechangedisruptiondying is a way for Leftists to advance a Leftist agenda all while claiming to care about the world and make people feel guilty enough, or scared enough to let the Leftists take control, and make everyone live their lives the way they dictate. This is not about science. Neither is it about caring about the planet, or saving the planet. This is in contradiction to freedom, and I am dead set against it. I have since gone to school for HVAC&R. I have an AAS degree in HVAC&R Technology. I know it’s not a PhD, or an MA in physics, but it does mean that I understand a lot about thermodynamics, heat transfer, refrigeration, refrigerants, etc., so I’m not a complete ignoramus. Now I have said I am not a scientist, and you can run circles around me all day long in that arena. But can you explain why there has been no warming for the last 18 years in contradiction to all of the IPCC’s computer modelling? I mean really explain it? Not give me theories, but an actual explanation? I don’t think you can because there is only one explanation, and you don’t like it, and you won’t say it. But I can. There has been no warming for the last 18 years because AGW is BULL*HIT. Lawn chemicals? (I don’t use chemicals on my lawn, I just mow the weeds, half of it is clover anyway.) I don’t know about that, but I do know that most of those chemicals that are “untested” are naturally occurring, have been known about for a long time, and have not caused any problems. Water is a chemical. So watever Mr. blogger. And can you please, please use quotation marks? They look like this “Blah blah blah” Not >>Blah blah blah<<, that looks stupid. You seem to have replied to many others here. Now you're declining to reply to me, because I've asked you some questions you can't handle. I’m not declining to answer, I said I have a job that doesn’t involve sitting in front of my computer all day, and my time to make comments is limited. I’m not the prolific comment maker you are, but I am here now and am going to try to get to all of them. Don’t be a jerk. Yes, that's what people like you usually do when you can't handle the questions. No, I’m not going to ban you for having an opinion, or asking questions. But I will if you make jokes about my dead grandmother, or anything like that. Sure. So by your standards you wouldn't trust anyone, anywhere — never drive across a bridge, never take a prescription medicine, never take a supplement (which are completely untested and unregulated). Is that how you live your life? I doubt it. Yet you seem to have a special belief that climate scientists are different. Especially biased. But you still haven't provided an iota of evidence to support that claim — only that the data has been "fiddled" with, while it's very clear (from Fietser's comments as well) you understand almost nothing about the data or why it's adjusted as it is. So what is motivating your doubt — politics? Why are you presuming to put words in my mouth? Your conclusions as to whom or what I would or would not trust are flawed. Yes, the reason I don’t trust people involved with the climate debate, who are squarely on the anthropogenic causation side, is because they have an obvious political agenda that I disagree with. Researchers involved in pharmaceuticals are not trying to advance an environmentalist agenda, and engineers who design bridges and roads are not trying to force me to drive a little death trap, or take public transportation. They are neither trying to get me to reduce my carbon footprint, support wind and solar power, stop eating meat, use crappy light bulbs, accept Socialist/Marxist thought, hate capitalism, become an Atheist, eat soy, be politically correct, become an anti-Semite, live in cities, generally do as they say and not as they do. I could go on but I’m sure it’s all lost on you seeing as how you are one of their agents. Now I’m a practical person, and I know the vast majority of climate researchers aren’t political ideologues who are trying to push an agenda. But there are some major, prominent scientists who are like James Hansen for example. He has been arrested several times at environmentalist protest rallies. I think it is entirely possible, and probable that he has an agenda he feels very strongly about. Enough to go to these rallies and get himself arrested. An who is he? Well I know he’s not there now, anymore, but he was the head of the GISS! And what do they do at the GISS? Hmmm. Let me think. They analyse CLIMATE DATA!!!!! So yeah, I think there are some who are especially biased. Are you going to admit you were wrong about this? And if so, why then do you dismiss BEST’s results? Nonsense. How hard is it to record temperatures.. They changed it because someone internally found nonsense going on and said you can’t do that. It’s the same that we found in all those emails about that faked tree ring data. BP, Shell, Exxon, Koch Industries, etc. And I thought that was just ridiculous. Researchers “think” that red hair “may” disappear entirely in a few hundred years “if” Scotland gets sunnier due to climate change. Which just about doubled me over laughing because the amount of sunlight Scotland gets is due to it’s latitude, not cloudiness. So, anyway, I read the story and get to the comments section expecting to read a bunch of comments from people like RNH and Fryster talking about how we have to act now to save red hair. But, I was pleasantly surprised to see that most of the comments looked like they could have been posted by people like me! Take a look, it’s heartwarming. And still, no one can explain why the latest data set from NOAA is bogus? The only thing I see here is unwarranted distrust and disbelieve. Like I said before, the latest data set is has been developed by intense and peer reviewed studies. There’s no reason for distrust here. If there’s anything bogus about it, is that it omits large regions like the Arctic. If only satellite data would be included it would show an ever accelerated warming. Why, in your opinion? Please be as specific as possible. You’re not wrong Mark. The system is corrupt. Care to explain Mark? Because I only see empty accusations. That's a common misconception. In fact, the models that give the "data" also need to be validated, checked, and updated. Theory and observations each reinforce the other, and either can be wrong. "Without models, there are no data." — Paul N Edwards, "A Vast Machine"
I find July 1936 to be only the 94th warmest month, relative to its average. Regarding the Climategate emails – I have read them. There’s some pretty damning stuff in there, particularly about the “Mike’s Nature trick” of chery-picking data (switching back and forth from one proxy to another) to fit the desired result of showing a “hockey stick” temperature chart. Then there was the conspiracy to keep peer-reviewed papers by scientists who disagreed with AGW dogma from getting published. Good times. The other part of this is knowing how far the “records” go back. At most, they go back about 200+ years. That’s like examining a bus with a microscope and determining that the entire bus must be made of the bubblegum stuck under one of the seats.